Former Raiders guard salutes another new Jet, linebacker C.J. Mosley, whom he calls "the best acquisition" of the offseason. Left guard Kelechi Osemele promised to “dominate” as Sam Darnold’s “new bodyguard,” and also threw huge praise at linebacker C.J. Mosley and, by extension, general manager Mike Maccagnan. Osemele, whom the Jets acquired from the Raiders, played with Mosley in Baltimore. Osemele said “the best acquisition” this offseason was Mosley. 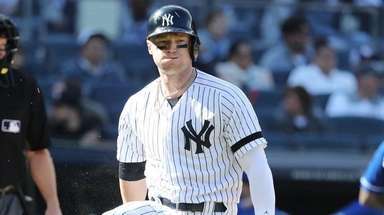 “He’s just a ballplayer,” Osemele said Tuesday. “Sideline-to-sideline explosive. He really puts himself in the best possible position. He watches film. Ball skills -- he catches the ball like a receiver. He’s got so much natural instinct on the field. When you think of a football player, I think of C.J. Mosley. He’s just a natural. Le’Veon Bell might have something to say about that, but Mosley was a huge pickup for the Jets. The four-time Pro Bowl linebacker in his prime signed a five-year, $85 million contract to be a leader on Gregg Williams’ defense. It’s obvious, that Osemele, 29, is going to be a leader on the offense. The Jets got Osemele and a sixth-round draft pick for a fifth-round selection to fill a void at left guard and bolster the line. He’ll be looking to bounce back from a disappointing season with the Raiders. A knee injury limited him to 11 games, and his performance dipped after he made the Pro Bowl the prior two seasons. Osemele said it was all health-related and that he’s already started addressing it. He’s listed at 6-5, 330 pounds, but Osemele said he’s dropped more than 20 pounds. He’s around 307 and plans to play at around 315 and return to his old form. “I’m in the best shape of my life,” Osemele said. “I’m as strong as I’ve ever been. I’m as explosive as I’ve ever been. Knock on wood, I stay healthy. That’s the only thing that will ever limit me is an injury. That’s what stopped me last year from playing at a high level. He wants to make sure Darnold has whatever he needs to be successful. Osemele said he and Darnold spoke after the trade went through and he let the young quarterback know he will be there for him. Another acquisition on offense, wide receiver Jamison Crowder, said he’s excited to play with Bell and Darnold, and in Adam Gase’s offense. Crowder pointed to the success of Jarvis Landry and Albert Wilson under Gase. Crowder also believes he will help Darnold develop into a great quarterback. Defensive end Henry Anderson admitted he “got a little worried” when the reports surfaced that Williams would switch the Jets to a 4-3 scheme. Indianapolis traded Anderson to the Jets last year because the Colts didn’t see him as a fit in the 4-3. The Jets are sticking with the 3-4 and brought back Anderson, who had seven sacks, on a three-year, $22.5 million deal. 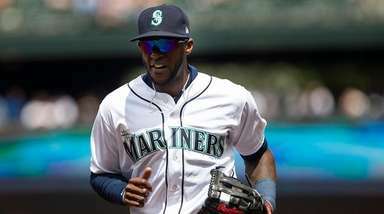 “Hopefully, with the trust that the coaching staff and front office have put in me I can go out and build on my success from last year and have an even better year,” Anderson said. The Jets need a veteran backup for Sam Darnold and will reportedly meet Wednesday with Trevor Siemian, who was with Minnesota last season . . . 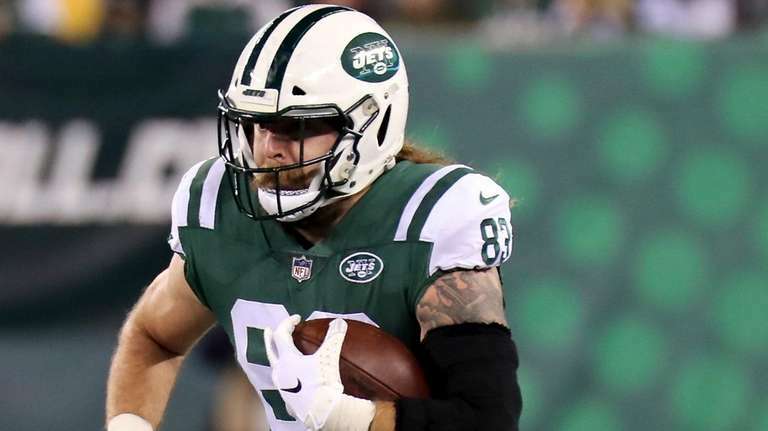 The Jets re-signed blocking tight end Eric Tomlinson and offensive lineman Brent Qvale, and signed former Bears tight end Daniel Brown. Tomlinson caught eight passes in 15 games before he dropped a weight on his foot and ended the season on injured reserve. He also played 224 special-teams snaps. Brown, a fifth-year player, had no targets but was in on 243 special-teams snaps.